How do toxic chemicals affect autoimmune disorders and what can you do to protect yourself? Around 87,000 chemicals are currently in commercial use, and very few of them have been studied with regard to their impact on health. Yet the evidence is growing that many of these chemicals, such as Bisphenol A (BPA), phthalates, and heavy metals, have a negative affect on the human body, and may contribute to autoimmune disorders. Dr. Aly Cohen, rheumatologist and environmental health specialist, explains how these chemicals can enter the body, and some of the havoc they can inflict once there. We explore both how to minimize exposure to these toxins and how certain foods can help the body eliminate them. Dr. Cohen also explains her take on the current fad of detoxing and the importance and value of a lifestyle based approach over a quick fix. Learn key doable steps that you can implement immediately to avoid chemicals and support your health and environment. Dr. Aly Cohen is a board certified internist, rheumatologist, and integrative medicine practitioner who specializes in arthritis, immune system disorders, environmental health and wellness. 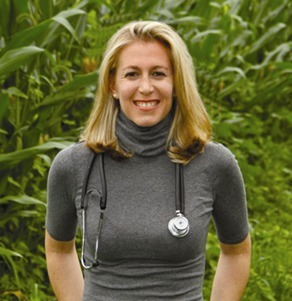 Dr. Cohen received her medical training at Hahnemann UniversityHospital School of Medicine in Philadelphia, and is also trained in medical acupuncture and Environmental Medicine. Dr. Cohen is currently in private practice in Monroe Township, New Jersey. Her practice focuses on both traditional western medical management of rheumatologic ailments, as well as integrative options for total “wellness”, such as biofeedback, acupuncture, cognitive therapy, diet and exercise counseling, environmental toxin counseling, smoking cessation, stress management and sleep evaluations. Dr. Cohen is also writer and producer of health programs for network and cable tv, a published medical author, and a national speaker on the topic of endocrine disrupting chemicals and their effects on human health and development. Women’s Voices For The Earth (http://www.womensvoices.org/) also has a lot of helpful information, including how to avoid toxins in feminine care products and salons. environmental health, epigenetics, foodforhealing, toxins. Bookmark.